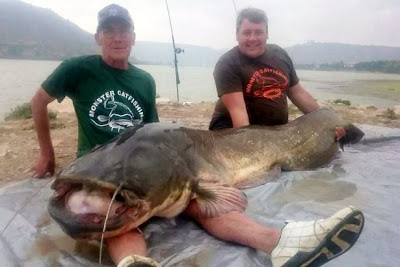 An elderly fisherman had the fight of his life when he managed to haul an 8ft monster catfish that was heavier than he is. 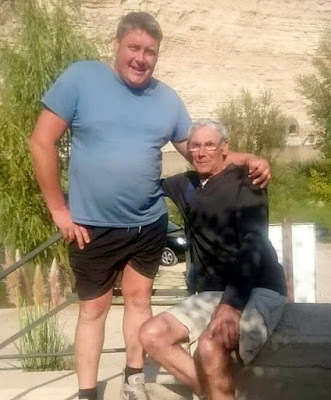 Pensioner Trevor Hart was on a special 'lad and dad' fishing trip with his son Nick, when he made the incredible catch. 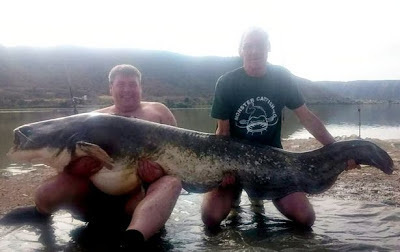 The 70-year-old wrestled with the 14 stone fish for 45 minutes but he finally managed to bring his "dream" catch ashore. “My dad has been fishing all his life but the biggest fish he caught before this was a 16-pound pike. "He usually fishes in Chesterfield in the local pond. “The fish was bigger than my dad. 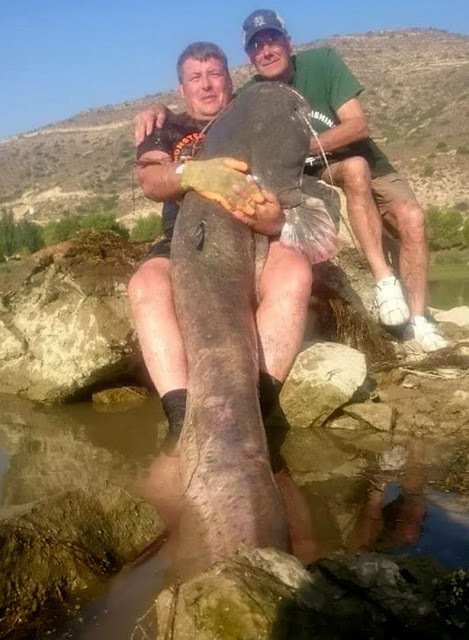 He's 6 foot and weighs about 60kg but this fish is 90kg. It was very comical really. “He was looking at the fish as if he’d won the lottery. It was a dream come true. “It was really exhausting and he was knackered for the rest of the day. He needed a big sit down and a beer."